Cambridge University Press, 9780521366540, 316pp. Robert Levine examines the American romance in a new historical context. His book offers a fresh reading of the genre, establishing its importance to American culture between the founding of the Republic and the Civil War. 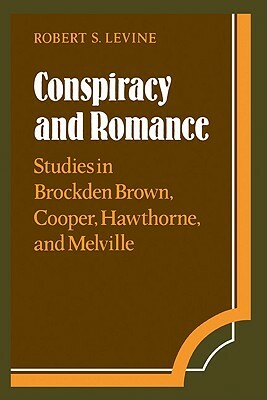 With convincing historical and literary detail, Levine shows that anxieties about foreign elements--French revolutionaries, secret societies, Catholic immigrants, African slaves--are central to the fictional worlds of Brockden Brown, Cooper, Hawthorne and Melville. Ormond, The Bravo, The Blithedale Romance, and Benito Cereno are persuasively explicated by Levine to demonstrate that the romance dramatized the same conflicts and ideals that gave rise to the American Republic. Americans conceived "America" as a historical romance, and their romances dramatize the historical conditions of the culture. The fear that reputed conspiracies would subvert the order and integrity of the new nation were recurrent and widespread; Levine illuminates the influence of such fears on the works of major romance writers during this period.